Servo motor is a DC motor that has an output feedback indicates the position of rotation of the motor. Servo motors are widely used as actuators requiring precise motor rotation position. If the ordinary DC motor can only be controlled speed and direction of rotation, the servo motors have an additional amount of parameters that can be controlled, which is a position based on the angle / degrees. 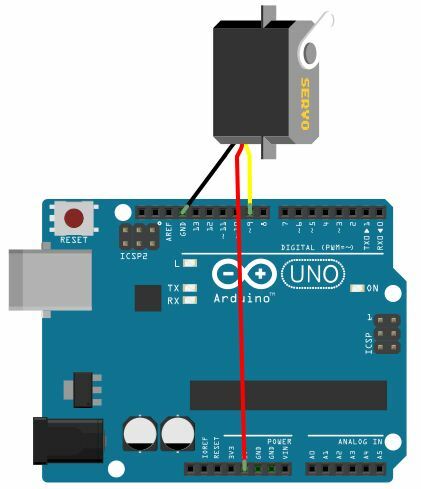 To handle the servo motor using the Arduino is easy enough, you may even be able to do it for less than 5 minutes! The key is usage of the library 'Servo.h' already provided by Arduino IDE. By declaring this library, you can create an object that has a method 'write (degrees)' with 'degrees' parameter is intended to show angle of rotation. For the above products, maximum angle is 1800, so you have a range of rotation angle between 00 - 1800 can be taken this kind of servo motors. By using this servo motors we have not talked again about the play direction (CW) or counter-clockwise (CCW) but the ‘angle’ of 00, 450, 900 and so on up to 1800. So, for example, if you issue the command ‘myservo.write (90);’ after ‘myservo.write (0);’ then the servo motor will move counter-clockwise. 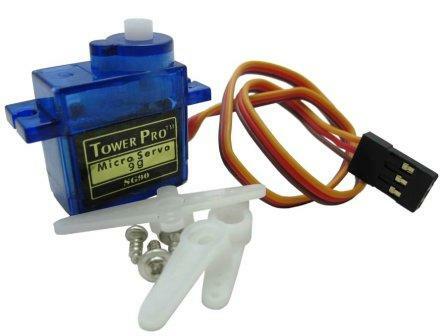 Then, if you issue the command ‘myservo.write (90);’ after ‘myservo.write command (180);’, the servo motor will automatically move clockwise. - Arduino board (Uno or others). Copy this Arduino sketch to your Arduino IDE, and upload the one to your Arduino board. If you don’t know how to do this, please read in this article. A blogger, electro-hobbyst, freelancer n technopreneur. I'm an Indonesian, I did my best to make tutorial without spelling errors, please CMIIW or if something burned your eyes..